PHILADELPHIA -- The Philadelphia Flyers' Claude Giroux and the Montreal Canadiens' Daniel Briere were celebrated as league champions on Wednesday. Well, the German league. 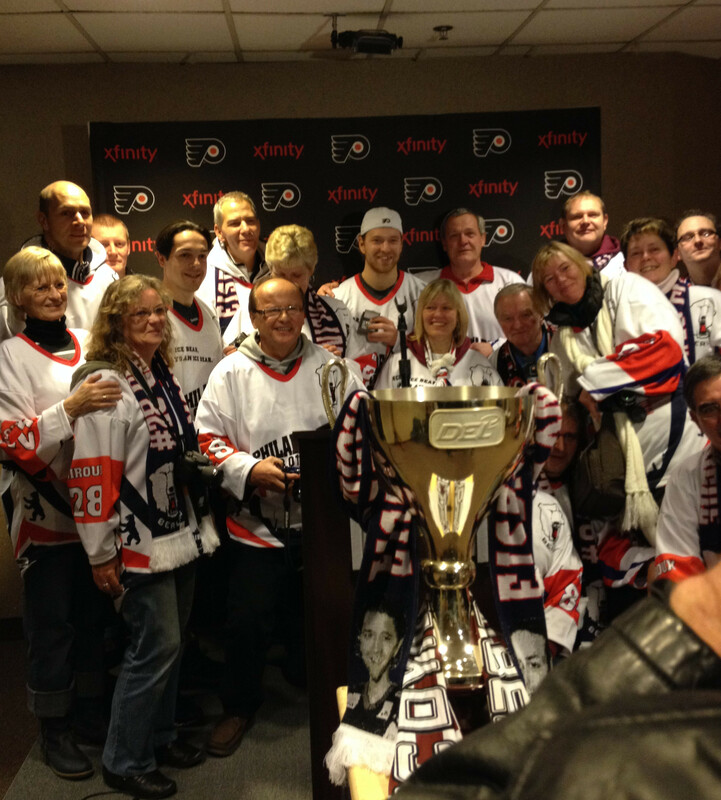 Giroux and Briere played for Eisbaren Berlin during the lockout last season and the team went on to win the championship of the DEL, Germany's top-tier league. The players were honored by members of the team's fan club. About 20 fans arrived in Philadelphia wearing custom jerseys that had Briere's name and number on one sleeve and Giroux's name and on number on the other sleeve. They also wore scarves with the players' faces on them. 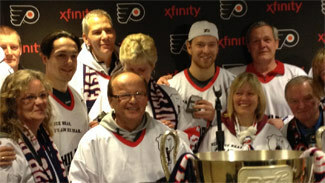 The fans gave Briere and Giroux their own matching jerseys as well as their championship rings. The fan club also had the league's championship trophy with them. Briere played 21 games but finished fifth on the team in scoring with 34 points. Giroux had four goals and 15 assists in nine games.